Hey, everyone, Rachel here. And today, I'll be reviewing Bodycology's Pure White Gardenia body fragrance spray. This rich floral fragrance is, of course, dominated by the fragrance of gardenias. Meant to calm down the wearer and instill a sense of peace, love, and good cheer in them and those around them, this scent is lovely for spring wear. The top notes are citrus and orange blossom, the middle notes are gardenia and tuberose, and the base notes are white musk and cashmere wood. That's all for now. Don't forget to follow FragranceX on Facebook, Instagram, and Twitter, and take a moment to subscribe to our YouTube channel. Bodycology Pure White Gardenia Perfume by Bodycology, Bodycology Pure White Gardenia is a women’s perfume that combines top notes of citrus and orange blossom with middle notes of gardenia and tuberose. 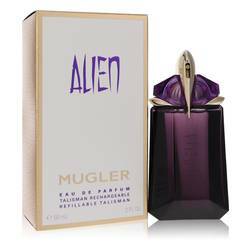 White musk and cashmere wood base notes finish this composition. 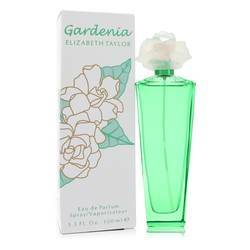 The bottle is colored pearl white, with an image of a white gardenia at the front. It is rounded at the top, with a silver neck and white spray cap. Advanced Beauty, Inc. founded Bodycology in 2003 as a brand that provides Read More Read More affordable, high quality home spa products for women. It is known for fragrance mists, bath lotions, creams, washes, and fizzies. PDC Brands, famous for its Parfums de Coeur fragrances, purchased the brand in 2015 and continues selling its products through mass market drugstores, retailers, and groceries in the United States, the United Kingdom, and more than sixty other global markets. The brand portfolio includes Body Fantasies, BOD man, Cantu, Dr. Teal’s, Calgon, Eylure, and Elegant Touch. All products are original, authentic name brands. We do not sell knockoffs or imitations.